Today, the world’s first entirely 3D printed wheelchair was publicized by Benjamin Hubert who works at Layer’s design agency. The wheelchair has not officially launched yet but is expected to at the Clerkenwell Design Week in London. The main idea behind the creation of this design was to help improve the life of everyday wheelchair users. 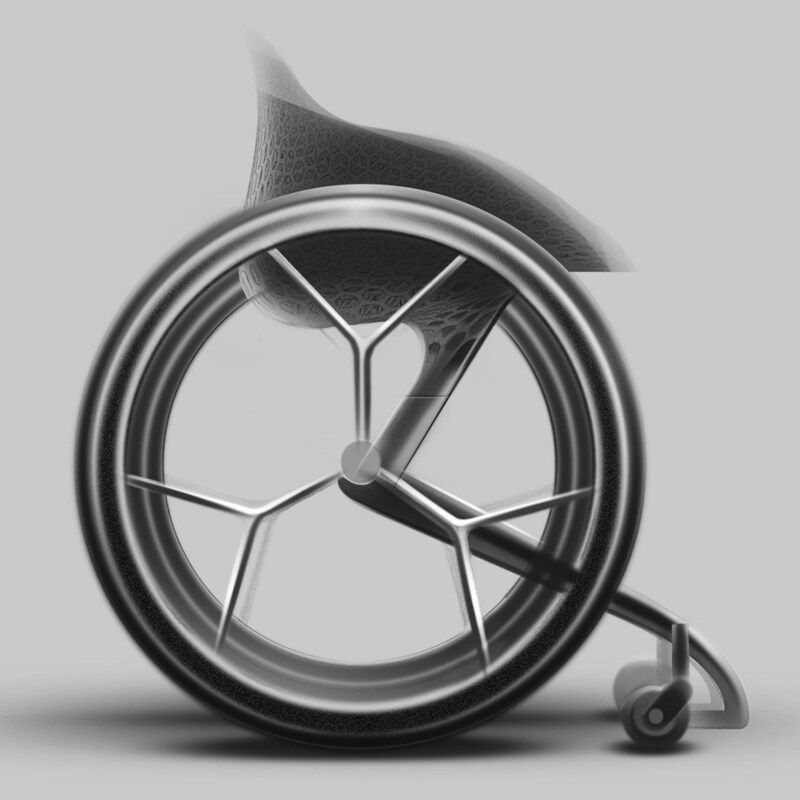 The design team at Layer wanted to see how they could “tailor” the wheelchair to meet the individual’s specific needs in regards to keeping their body healthy. The “GO” wheelchair has two different materials that change the image of the ordinary wheelchair as well as its functional capabilities. The “GO” has a semi-transparent resin that is mixed with TPU (Thermoplastic polyurethane) which delivers a higher level of shock absorption than standard wheelchairs. The two materials also decrease the weight in the “GO” in comparison to the standard wheelchair. A large impact on most wheelchair users is the effect that standard wheelchair padding can have on their posture, creating back problems in their future. With the “GO” wheelchair it is tailored to the user’s body so they stay in a comfortable position that doesn’t hinder their back health later on. This 3D printed wheelchair is just one of the many products that can be created using 3D printing technology in the healthcare industry. Layer eventually plans to take this conceptual-based idea and turn it into full production in the future. Hall, Nick. “A wheelchair for tomorrow, today.” 3DPrintingIndustry.com. 10 May. 2016. Web.